What could be easier or sweeter than these little bunnies? I’ve been making a bunch of face cloths. This just might be how I gift them! Annabelle has the details on her blog! 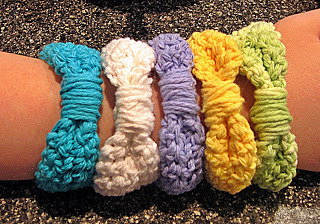 While you’re at her blog, check out these cool crocheted bangles. I think they’d go nicely with your new Easter dress! These are made from ribbon, but you can use anything you have on hand – maybe the yarn you used for your latest cardi or shawl. 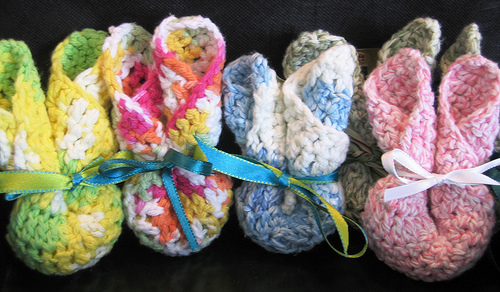 Are These The Worlds Cutest Crochet Bunnies?